This graph shows the savings at two car wash facilities. 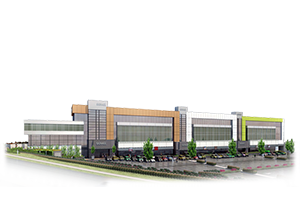 Site one's electric bill was averaging 6.06% of gross sales and site two was averaging 5.48% of gross sales. 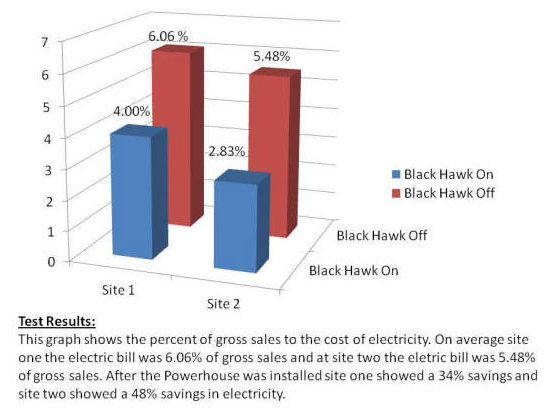 After THE BLACK HAWK was installed site one saw a 34% savings in electricity and site two saw a 48% savings. 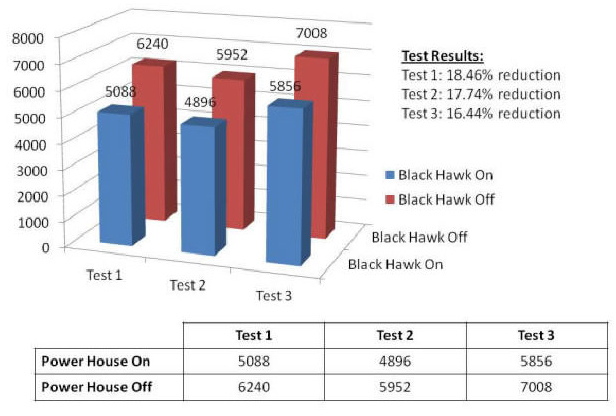 These two graphs show testing was conducted on 2 military houses at Fort Campbell Army Base. 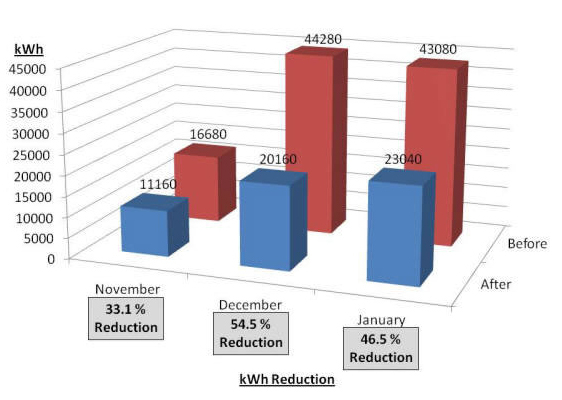 Testing showed August & September 2010 electric bills compared to August and September 2011 electrical bills indicating up to a 22% decrease in energy consumption. 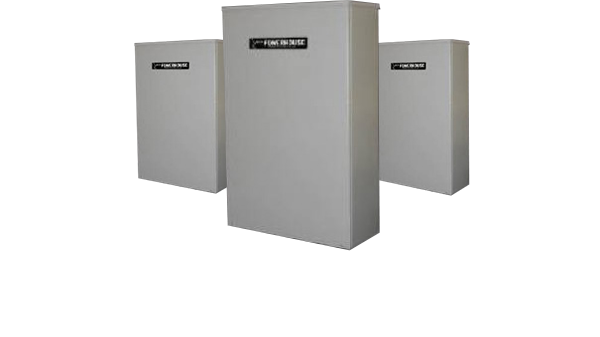 Demand charge is very important as it reflects the Power Factor charge. No matter what you pay in kilowatt dollar rate, this is a direct correlation to the kilowatts consumed. 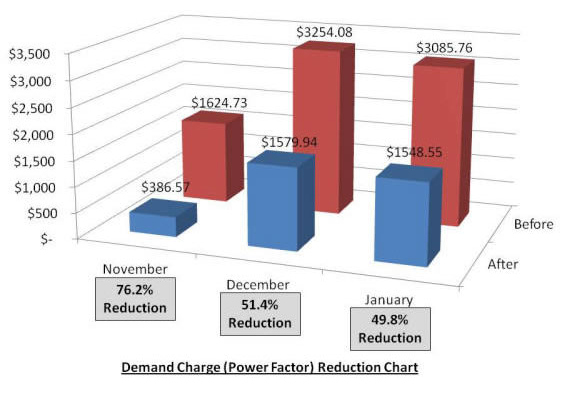 Since the Black Hawk Power House improves the Power Factor number there is a direct reduction in the demand power charges. 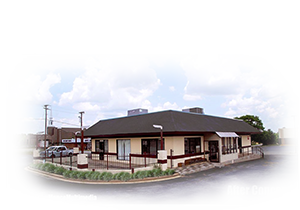 This test was performed on a restaurant franchise chain of 5 stores. THE BLACK HAWK 208/240 was installed on 1 of the stores and the other 4 were used as control subjects. 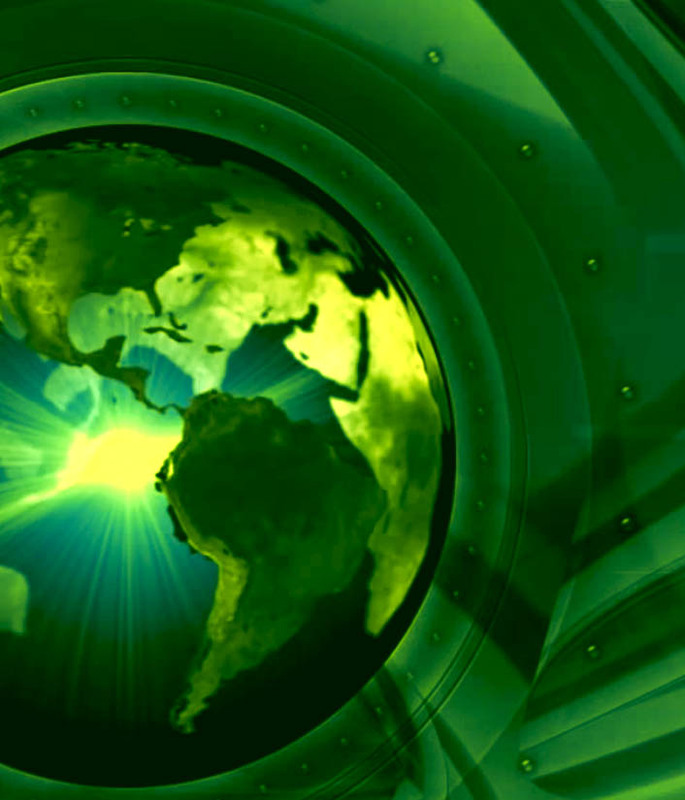 As the stores monthly volume increases, the electric bills increased as well. As we can see the store front with THE BLACK HAWK installed consistently ran under normal ratio of electric bill to sales volume. 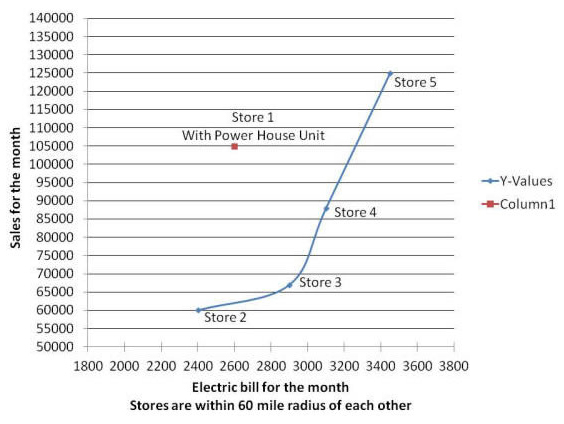 These stores are within a 60 mile radius of each other which removes the weather variable on the stores electricity consumption. 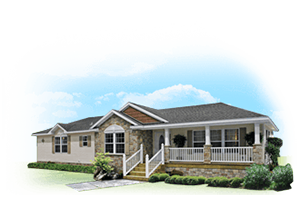 THE BLACK HAWK is greatly decreasing the electric bills of this customer not to mention the other benefits of THE BLACK HAWK. 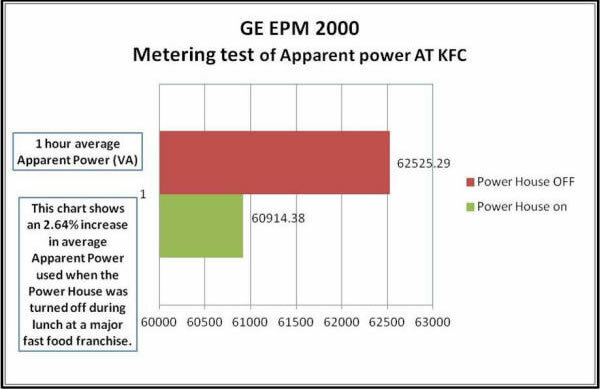 During a GE conducted study at a KFC franchise, with THE BLACK HAWK Unit turned on for a period of 1 hour a 2.64 percent decrease in Apparent Power was realized. 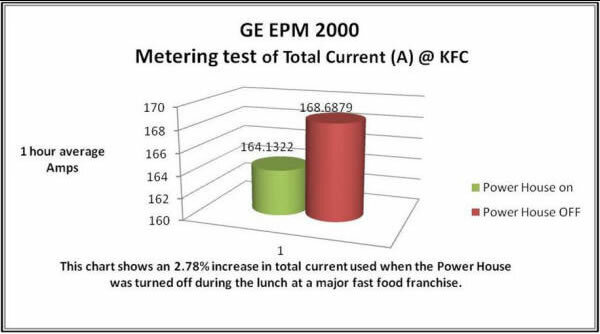 At the same KFC franchise, with THE BLACK HAWK Unit turned on for a period of 1 hour a decrease of 2.78 percent in total current used was realized.